This Sunday one of the more entertaining games (in my humble opinion) will be taking place at 4:25pm in Arlington, Texas when the 3-2 Jacksonville Jaguars face off against the 2-3 Dallas Cowboys. Both teams came into 2018 with very high hopes and this game is a big one seeing as how both of these teams are teetering around the .500 mark. The line opened with the Jacksonville Jaguars as three point favorites on the road versus Dallas and the total points are set at a low 40.5 total between the two. As of mid day on Tuesday, 67% of the public action was on the Jaguars to get the win and cover. As for the total points, 54% thinks it will go over the 40.5. I try not to brag much…okay, yeah I do…but I was the one saying two years ago that Dallas was not a true contender and the whole Dak and Zeke thing would go away soon. I was right. Dak Prescott is an okay QB at best, and Zeke is just what he is, a solid running back but he is not the next coming of Barry Sanders, OJ Simpson, or Emmitt Smith. With that said, coming into the last two seasons many experts said that this is the year that Dallas turns it around…LOL…nope. They won’t and chances are even when the 2018 season is said and done and Dallas finishes 7-9, Jason Garrett will still have a job and Dallas will be Preseason Champs 2019 again. This weekend’s game against Jacksonville will not be easy for Dallas but there is one area of this game that could swing in the Cowboys favor. The run game. Dallas ranks in the top five in the NFL in rushing while Jacksonville is right in the middle of the NFL ranks as a run defense. If Dallas can get the ground game going and open up the pass game for Dak, things could get very interesting. Jacksonville has only given up three passing touchdowns all season on defense but a strong run game by Dallas could cause the Jags to stack the box opening the downfield game even more. If Dallas stays one dimensional it could be a very long day but if they open it up then all bets are off and this could put the Cowboys at 3-3 on the young season. The Jacksonville Jaguars surprised everyone last season by making the AFC Title game and almost upsetting the New England Patriots. The Jaguars are again looking good and they want nothing more than to get back to playing football in January. It is games like this that they must win to make sure they are not sitting at home after Christmas. We just mentioned that Dallas could potentially have the advantage in the run game but what are the keys for Jacksonville? Well, for starters I am curious to see how the run game goes with the loss of Leonard Fournette. The success of the offensive attack will rest on TJ Yeldon with some relief from recently signed Jamaal Charles. 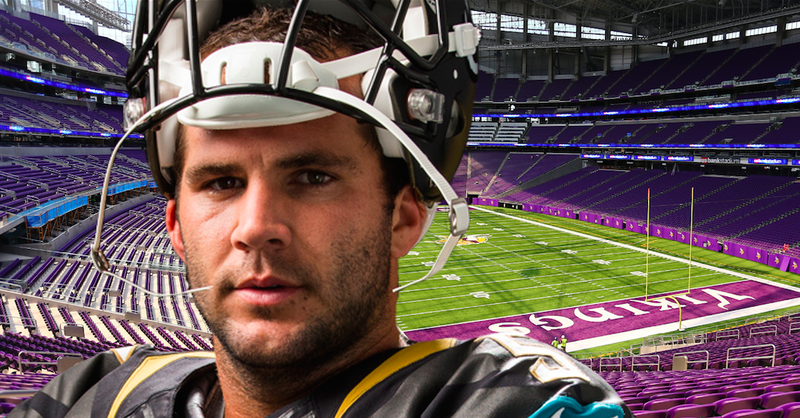 Jacksonville MUST make life easy for their quarterback, Blake Bortles. Bortles is a good QB but he is not a guy that can single handedly win a game for you. If the run game is cruising then it will open up the passing attack. These two teams are very similar in this fact that the run game and run defense is very important on both sides. Not only is Jacksonville missing Fournette, but they are also down D.J. Hayden and offensive tackle, Josh Wells. The loss of Wells could play a huge part in the run game I have been talking about. Another important key for Jacksonville is their defensive front. The Cowboys have a solid offensive line and if the Jaguars cannot stop the run or put pressure on Dak Prescott, it could be a long afternoon. This game is going to be very evenly matched from a personnel standpoint…it is going to depend on who makes the fewest mistakes throughout the four quarters as to who gets the win. Although I think Jacksonville is the much better team overall and if this game was played in Florida I would be all over the Jaguars, I like Dallas here. I am not so sure Dallas wins the game out right but them getting three points at home, I just think it is the smarter play. Also, based on the betting public numbers, it seems that a lot of people love Jacksonville and one thing I have learned about betting over the years…the public typically does not win. Roll with Dallas plus the points here. Again, I am not sure who is going to win this game, but I can see this one being a 23-21 type finish with it being close enough for a Cowboys cover regardless of who walks away the victor. Bob’s Pick to Cover the Point Spread: TAKE THE DALLAS COWBOYS PLUS THE THREE POINTS AT HOME AGAINST THE JACKSONVILLE JAGUARS. ALSO, TAKE OVER THE POSTED TOTAL OF 40.5 POINTS!